Oreck originally got their start by building upright vacuums for hotels but their popularity quickly grew, allowing them to branch out into the residential cleaning industry as well. Today they are recognized all over the world for their high quality construction and tremendous cleaning ability. 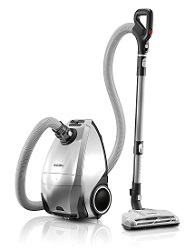 Their main focus is to provide a lighter weight vacuum cleaner with commercial grade power. As a company they strive to simplify their customers’ lives by making it effortless to clean their homes. It sounds like a simple statement but the execution of it takes a lot of effort. with an initial goal of filling the hotel cleaning industry needs. The lineup was initially focused on uprights but it has quickly grown to include canister and handheld cleaners as well as steam mops. Not only are they well known for durability but they are also known for innovation. One such example is their Elevate™ line of vacuums. They are equipped with swivel neck for easy steering and an ultra lightweight design, as well as a low profile for vacuuming under furniture. HEPA filtration and their SELECT allergen bag collects 99.97% of those microscopic allergen like dust mites and mold spores before the air passes back into your home. This is crucial for having a healthy indoor environment, especially for those who suffer from allergies or asthma. If you are a professional cleaner or just someone who wants the highest quality model they currently sell you can choose from a full commercial lineup. It’s no surprise that busy public areas require much more than the typical home. The vacuum will be used much more often, typically a couple times per day. Plus the amount of dirt picked up is multiplied many times over so the standard machine just won’t cut it. 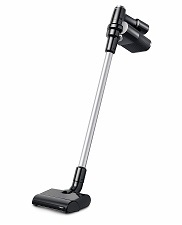 Oreck has full sized uprights and lighter weight cordless models that can handle the extra use of a professional cleaning person. Their all new line of cordless products were built to address the challenges of small area, high traffic (SmAHT™) location cleaning. One of the things that can really add to the operating expense of a vacuum is replacement parts. If you have a lower quality machine you will either find yourself replacing the parts often or simply buying a new cleaner every couple of years. Either way this isn’t an ideal situation, but with Oreck it is much different. One example of this is their Endurolife™ belts. The belt will help maintain the speed of the spinning brush so it is quite important to the overall cleaning rating. If the belt becomes worn then it won’t perform as well, and the brushroll won’t agitate the embedded dirt enough. That isn’t a problem on their machines as the Endurolife is built for a long life without the need for ever changing it. Not only do you save money but your vacuum also keeps operating like it did on the day you bought it. 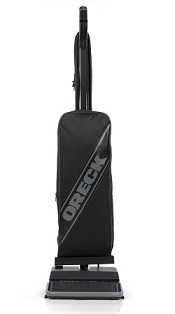 The Oreck XL Classic upright is arguably their most recognized machine. It is extremely lightweight (around 9 lbs.) but comes with tremendous suction that can handle high piled carpets. The brushroll spins at a very high rate of speed, to help the air pull up deeply embedded dust mites so they can become trapped inside the collection bag. It’s an excellent choice for large carpeted areas. Another important feature is the SaniSeal™ bag, which will fully seal as soon as you remove it from the housing. With cheaper brands, the removal process is where a lot of the dirt particles can escape. The bags found on the XL Classic will become sealed the second you take them off so nothing comes into contact with your skin or the air around you. You can also operate it virtually flat to the ground, giving it a low enough profile to go under normal sized beds. Underneath furniture is where dust tends to congregate as it just isn’t an area that is easy to get to. This model was built to go where the competition cannot, so you won’t be rearranging your items just to get the floors clean. Click here for our indepth review to see if it matches up with your household cleaning needs. If you are looking for a full sized canister vacuum that can handle almost any surface in your home, the Venture Pro is their top choice. It comes with their Multi-Floor power head attachment that works well on carpets and tile, or just about any other hard flooring. With 5 power settings you can quickly move from room to room without taking your hand off the controls. Like their other vacuum cleaners, the Venture Pro is a bagged unit. This helps seal virtually all of the dust in so it cannot escape back into the air inside your home. While this is an important feature, it is especially important for those who suffer from asthma or allergies as any type of microscopic allergen can quickly trigger a reaction. HEPA filtration is the final barrier between those organisms and your house. Swivel steering is another unique quality and something that you don’t see on most vacuums. The machine will easily rotate in a circular motion around your furniture with much less effort on your part. And since it is compact and lightweight, you will hardly know that you are pulling it around behind you. Read our full review here to learn more about it to see if it is the best option for your home. The Elevate Conquer is a full sized machine with a uniquely designed SlimSwivel™ neck. This allows you to steer it around all of the items in your home with much less effort than when using a typical upright. And since it only weighs around 10 pounds you will hardly tire during use, even when carrying it up flights of stairs. The Conquer is the only model in the Elevate lineup that comes with a fully sealed HEPA filter system. The 5 different layers of filtration work together to not let any small organisms pass back into your home. This is especially important for this households with allergy sufferers or family members with asthma. Any type of microscopic allergen can trigger a reaction, sometimes on first contact. The hospital grade filtration found on this model virtually eliminates that possibility. Oreck has recently become known for building lightweight vacuums that can clean with the best of them, and the Elevate delivers on that. Click here to read our review to learn more about the main features of this new upright in their lineup. The Oreck POD is a lightweight cordless vacuum with a long lasting lithium ion battery and many other features that help it stack up to the competition. The latest generation of lithium ion batteries can last much longer than those that came before them, with the advantage of providing fade-free power right up until they are drained. This allows you to clean your entire home on a single charge! The “POD” is a new feature specific to this vacuum cleaner. It is similar to a bag but it looks more like a small chamber. It goes into the machine small and then expands as it fills. Once it is full you simply drop it into the garbage and replace it. There is no skin contact with the dust or dirt blowing all over the place. It self seals as soon as you remove it. The POD is a new step into the competitive cordless category and it is a good one. It comes with the attachments you need, the power you must have, and a long lasting battery for entire household cleaning session. Click here for our review to learn more about it, including a quick video demonstrating how the POD works.